The 1 Series was launched globally in Autumn 2004 and shares many structural, chassis, powertrain, hardware and electronic elements with the larger 3 Series. The model was started to provide a lower point of entry into the BMW range as the 3 Series moved gradually up-market. The 1 Series coupe (E82) and convertible (E88) went on sale in the United States and Canada in model year 2008 (30 June 2007) as the 128i and the 135i. Other countries received the 120i and 125i in both platforms. 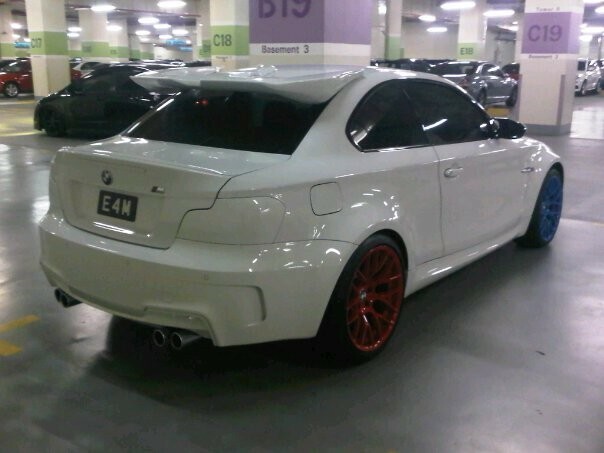 Even though the look of BMW 1 Series is already look nice and sporty but modifying bug does strike the owner of this BMW 1 Series. 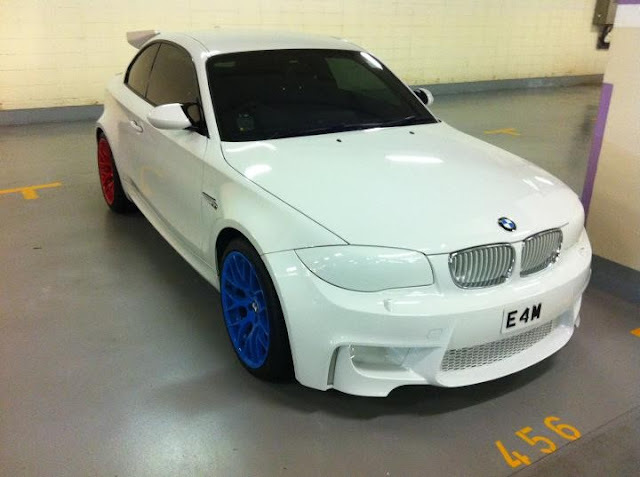 The owner of this BMW 1 Series modify his BMW 1 Series exterior to something special and unique where the easiest noticed parts are he sprayed the front headlamp and rear lamp with white color and a extremely big spoiler. To be honest, if the spoiler comes in smaller one the car will be perfect. By the way, I wonder will the car against the law enforcement where both the front and rear lamp already sprayed to white. Anyway guys, enjoy the pictures. 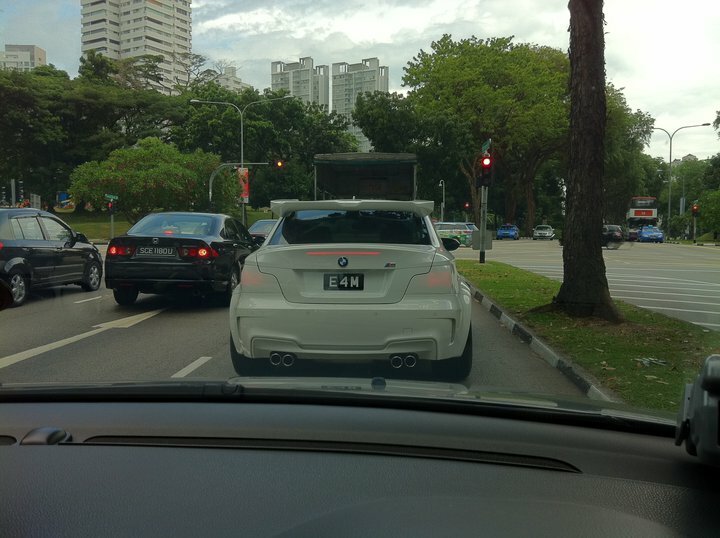 How does he/she get approval from the enforcement?? ?